This course consists of a learning experience connected to a community and a cooperative education curriculum that incorporates relevant expectations from the student’s related course (or courses). Students will develop skills, knowledge, and habits of mind that will support them in their learning, including their education and career/life planning, at school and beyond, today and in the future. Within the context of their experience connected to a community, students will apply, extend, and refine skills and knowledge acquired in their related course or courses and will apply skills, knowledge, and habits of mind that will protect and promote their health, safety, and well-being. They will create and implement a learning plan that meets their particular interests and needs, reflect on their learning, and make connections between their experience in the community and other aspects of their lives. Students complete 2, 3, or 4 credits by working part or full days a co-op placement. Each co-op credit is scheduled for 110 hours. This includes pre-employment class work and training, scheduled monthly in-class instructional days, and time spent working at placement. focused on integrating their learning throughout the course. Cooperative education places additional responsibilities on students; consequently, it is generally offered to students in Grades 11 and 12. In order to participate in cooperative education, students must be at least 14 years of age. When establishing the community connection, boards and schools must adhere to minimum age requirements for certain industries and workplaces in Ontario. In addition, some employers have their own policies on minimum ages in the workplace. Prospective co-op students are to select co-op at course selection time. Prior to the start of a cooperative education course, the teacher must schedule a meeting with every student considering enrolment in the course to determine the student’s readiness to participate in cooperative education. An application form must be completed during the pre-course meeting. Depending on the work placement, students may need to complete additional safety training, a vulnerable sector check, and/or TB testing prior to the beginning of placement. The Ontario Youth Apprenticeship Program allows students to get an early start on an apprenticeship in a skilled trade. Students have the opportunity to work towards their OSSD, while working with an employer in a skilled trade area through a specialized co-op program. 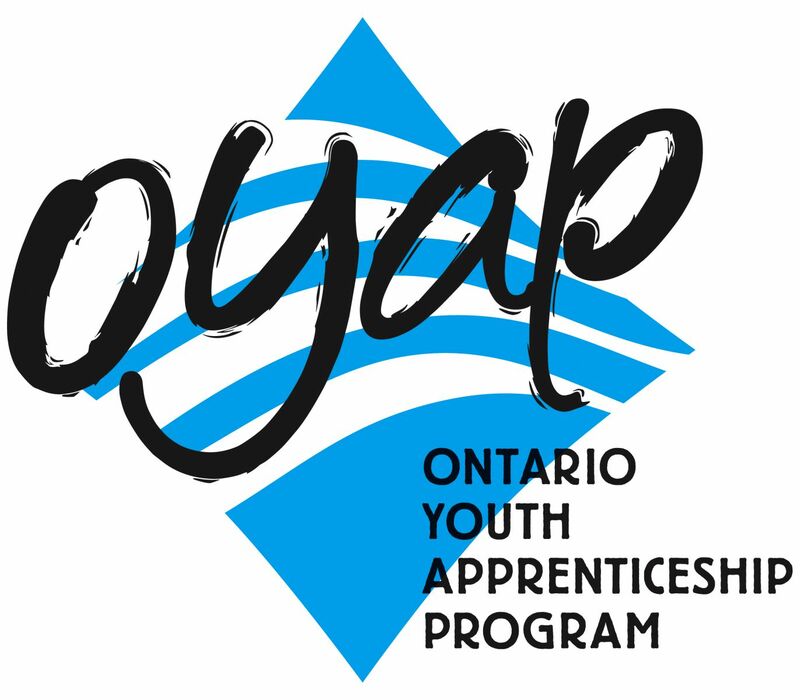 OYAP Participant- students get the opportunity to complete their co-op in one of the apprenticeable skilled trade areas (subject to availability). This is an excellent opportunity to 'test' out a trade to see if it is a good fit. Hours are registered and may count towards that trade if the student becomes an apprentice. Registered OYAP Participant - After becoming an OYAP participant the Employer may wish to sign the student to a registered training agreement with the Ministry of Advanced Education and Skills Development (MAESD). This formal agreement allows the student to earn hours towards their apprenticeship while also working towards their OSSD.